Kanye West has reportedly left Tidal over a money dispute. 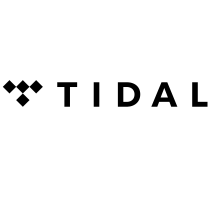 Editors at TMZ are reporting that the Stronger hitmaker has parted ways with Jay-Z's streaming service after being unhappy with how it is being run. Kanye has allegedly complained the company owes him upwards of $3 million (£2.2 million) and has had his lawyers send Tidal executives a letter stating they were in breach and he wanted his contract terminated. Sources tell the news outlet that lawyers from both sides worked hard to resolve the problem, but ultimately Kanye's legal team sent another letter saying the contract was over. This is the latest in a string of fall outs for former friends Kanye and Jay. The news of the Tidal split comes not long after Jay released new album 4:44, which includes a Kanye diss track. In new song Kill Jay Z, the star raps: "You walking around like you invincible/You dropped out of school, you lost your principles/I know people backstabbed you, I felt bad too. "But this 'f**k everybody' attitude ain't natural/But you ain't the same, this ain't KumbaYe (sic)/But you got hurt because you think KumbaYe/You gave him 20 million without thinking/He gave you 20 minutes on stage, f**k was he thinking? /'F**k wrong with everybody?' is what you saying/But if everybody's crazy, you're the one that's insane." Sources continue to tell TMZ that Kanye didn't receive the bonus he was meant to when his album Saint Pablo attracted 1.5 million new subscribers to Tidal. Tidal lawyers on the other hand claim Kanye didn't deliver the videos required by the contract. Tidal have also allegedly threatened to sue Kanye if he tries to release his music on a rival streaming site, as they have exclusive rights to his work.